Dr Stacia Kelly is a Chiropractor who believes that chiropractic care can support both acute and chronic pain, as well as help to maintain lifelong wellness. She understands that life's stresses can cause wear and tear on the body that can result in many aches and pains along the way. She has a particular interest in fitness and treating sports-related injuries. She also loves addressing pre and postnatal issues related to pregnancy as well as children. Whether it for spinal dysfunction, rehabilitation, nutritional advice, or other life stresses, Dr Kelly will individualise her care based on what suits your chiropractic needs. 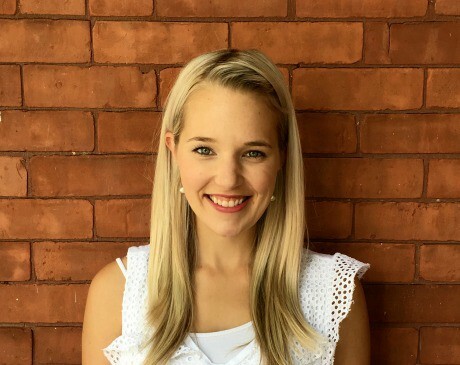 Dr Kelly has an undergraduate degree in Health Studies from Queens University and has also completed four years of Chiropractic Education at the Canadian Memorial Chiropractic College (CMCC) in Toronto. She has furthered her education by completing the Traditional Chinese Medicine Acupuncture course at CMCC and uses acupuncture as effective adjunctive therapy to chiropractic care. She offers diversified adjustment techniques and is certified in Graston Technique® (an instrumented soft tissue technique that helps with the breakdown of scar tissue and overall healing). She also has training in treating patients with TMJ dysfunction. Dr Kelly is a member of the International Chiropractic Pediatric Association. She is certified to perform the Webster Technique. The Webster Technique is a specific chiropractic sacral analysis that is used to support a more comfortable, safer, and more comfortable birth. She enjoys treating women on their journey through and after pregnancy. Dr Kelly is also a member of the College of Chiropractors of Ontario, the Ontario Chiropractic Association, and the Canadian Chiropractic Association. She grew up in the small town of Westport, Ontario. Throughout her teenage years, she trained in dancing and figure skating and always took an interest in health and wellness. Her happy young daughter also keeps her on her toes from day to day. Book an appointment with Dr Kelly today! Unsure whether Dr Kelly is the right practitioner for you. Book a free, no obligation meet and greet session with Dr Kelly to discuss your needs. Call now to book an appointment (613) 230-0998, or book online, up to 1 hour prior to the appointment.